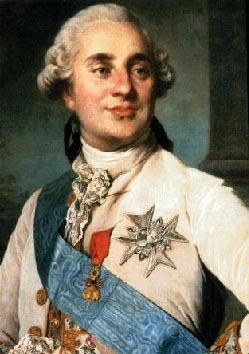 When Louis XVI died at the guillotine on January 21, 1793 it was said people dipped their handkerchiefs in his blood. I had always considered it more myth than legend- until I did some research. I had to look up the word- calabash. It is a hollowed out gourd that is used to hold small keepsakes; a strange item to hold the blood of a king, but that is exactly what it contains. Writing on the gourd claims that a Parisian by the name of Maximilien Bourdaloue dipped his handkerchief in the blood of Louis XVI after his execution at the guillotine. After a three year study, a report posted in the Journal of Forensic Science International claims to have enough evidence to assert that the calabash indeed holds Louis XVI’s blood. Scientists had found the DNA on the cloth three years ago, but the challenge was that there was no living family member of Louis XVI. His only surviving child from the French Revolution, Marie Thérèse, died childless in 1851. They could identify certain physical characteristics from the DNA- such as blue eyes. Then a mummified head was found in a retired tax collector’s home in 2010. It was bought at an auction and further evidence supports that it was Henry IV, king of France from 1589-1610. Raised as a Protestant, he was assassinated by Francois Ravaillac, a fanatical Catholic who had visions of converting the king. When persuasion failed, Ravaillac turned to regicide. This murder seems to be show a stunning similarity to the assassination of Archduke Franz Ferdinand; a strange combination of traffic problems mixed with opportunity. For his crime Revaillac was drawn and quarted, and his family was exiled. 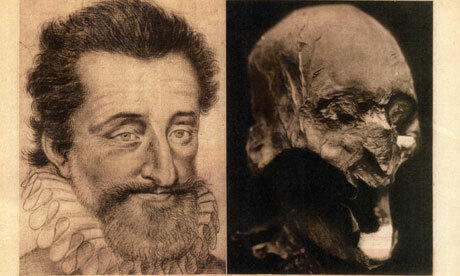 HenryIV was buried properly, but exhumed during the French Revolution. In 1793 all royal graves were desecrated at the Basilica of St Denis in the attempt to wipe out the memory of royalty. But someone, for whatever reason, kept his head. This head was the key to authenticating the blood of Louis XVI. The historic men were of the same bloodline, and by looking at the DNA of these primary specimens, a connection might be made. Belief was authenticated by science. Both DNA authenticates that the men share the same paternal line. It is ironic, that the events of the French Revolution ended Louis XVI’s life, but also supplied to possibility to authenticate his blood. What strange things people collect! This entry was posted in historical, historical media and tagged calabash, DNA research, Francois Ravaillac, French history, French Revolution, HenryIV, Journal of Forensic Science International, Louis XVI, Marie Thérèse. Bookmark the permalink.